Coastal Bend Day of Giving: Palmer Drug Abuse Program of Corpus Christi Inc. This year's Coastal Bend Day of Giving supports 50 area nonprofits on the forefront of assisting those in need, and the Palmer Drug Abuse Program of Corpus Christi Inc. is one of them. 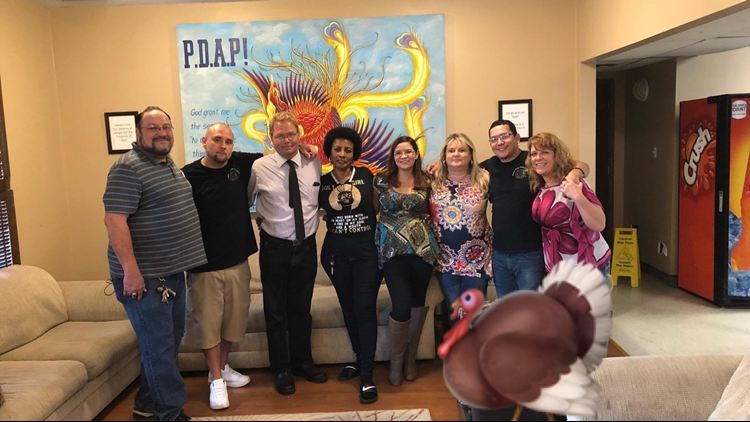 "PDAP is a three-part family program which offers free support group services for both teenagers and young adults who express a desire to find an alternative to drug and alcohol use; for the parents who seek solutions to family and personal conflicts arising from drugs and alcohol use by a family member; and for the younger brothers and sisters of drug abusing siblings or parents. Our goal is to have them maintain 30 days of sobriety with a success rate of 82%. We have a day center for them to be able to have a safe place to come and hang out, do step work and fellowship. We also provide educational retreats, camping trips and sober activities for our group members to teach them how to be productive members of society." Check out the links below for more information about the Palmer Drug Abuse Program of Corpus Christi Inc.